As part of a joint venture between Vertrax and Cenex, MySmartDrops is an Internet-based version of the SmartDrops program offered by Vertrax. 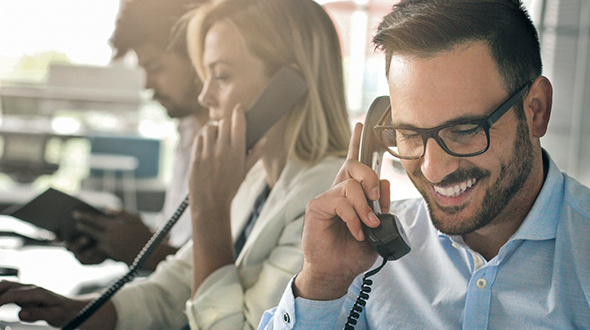 Bypassing the upfront expense of setting up sophisticated route-planning software on your company’s server, MySmartDrops is available for an annual fee of $125. From there you pay $8 per truck route to access the system in a pay-as-you-go scenario. The system provides drivers daily manifests automatically generated to reap top value for any given route. Keeping a bobtail on the road typically can cost $4 to $8 per mile, he points out, noting how the savings gleaned through MySmartDrops can grow in a hurry – from $5,000 to $10,000 a year. By partnering the Cenex Propane Control Room online service with the Vertrax software, “We’re trying to go beyond saving a cent or two on the product cost. The need to get additional savings out of their business is a more critical need,” Arendt explains. 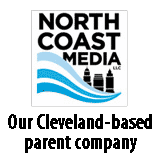 “This is a way you can apply significant amounts of technology at a low cost. This will match with the major (in-house) software systems out there,” he says. Based on testing among focus groups, Arendt reports that the company’s co-op members and independent propane retailers are enthusiastic about the program. Assuming that a single propane delivery vehicle runs 165 daily routes per year, the annual cost would be $1,455 based on the $8 daily fee and the $125 yearly subscription price. 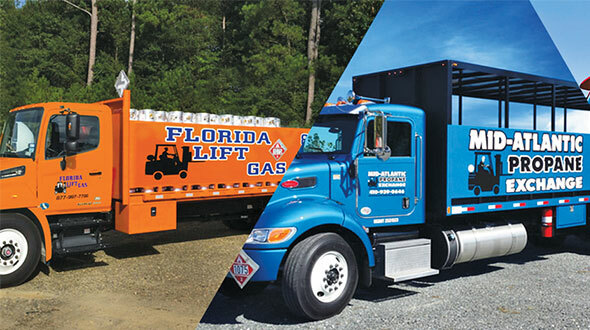 Vertrax officials say that a propane marketer will see improved efficiencies by at least $5,000 per truck, realizing a minimum net savings of $3,555 or a 246 percent return on the annual investment per delivery vehicle. 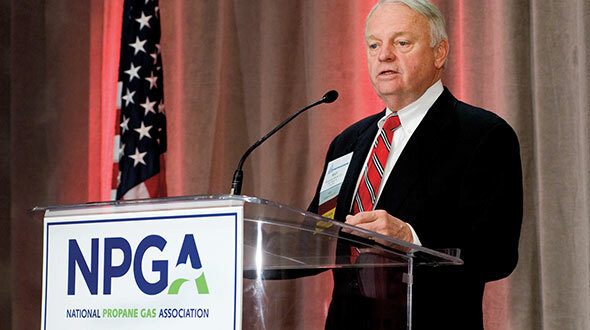 Currently, 15 to 20 percent of the American propane industry runs some type of route-planning software – and pays big money to adopt the programs, according to Vertrax CEO Vinny Mullineaux. “The main difference (with the new MySmartDrops) is the business model,” he explains. Vertrax introduced its SmartDrops system in 2001; about 100 larger propane and heating oil companies are now on board. The company expects to aggressively market MySmartDrops to all independent marketers later this fall after Cenex is up and running. 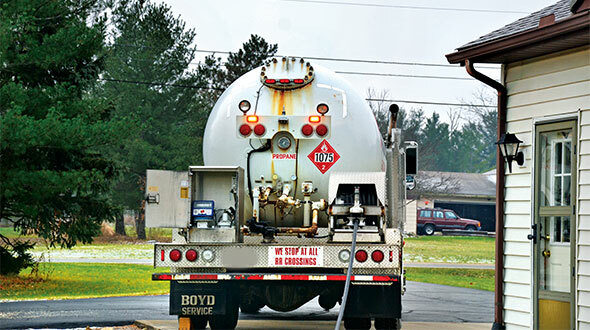 Aside from the upfront costs associated with traditional route-planning software systems, Mullineaux says the biggest pushback from propane retailers has been fear of driver rejection. He cites a mythical driver named George as an example: “George has been driving for us for 20 years; he knows everybody” along the route and is confident that everything is already being done at top efficiency. Yet someday George may leave the company, Mullineaux muses, or his special way of doing things may not be the best route to take. “He’s probably driving more miles than he should and going in the wrong sequence,” he adds. 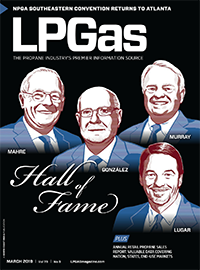 People in the propane industry have always been resistant to change, but as the benefits of automated route planning become apparent the fear and uncertainty is dissipating, Mullineaux observes. The preciseness of the delivery process comes via geo-coding, in which all of the addresses on a route are electronically mapped through satellite technology when you subscribe to the Vertrax service. “All your local configurations are done,” Mullineaux says. “You get a printed manifest; it tells you the stops, and it guides you through the day” by imparting crucial delivery information. The dispatching is typically done the evening before. It takes about 10 minutes to download the data, taking into account the number of accounts to be filled and the amount of propane to be pumped. The turn-by-turn manifest and tickets then are ready to be handed to the driver upon arrival in the morning. To facilitate further analysis, the manager gets a number of reports generated by the online system. “You can ascertain the same key performance metrics, that most (larger) fleets keep at their fingertips,” Mullineaux says. Options to the MySmartDrops program include in-cab touch-screen mapping and real-time GPS connectivity.